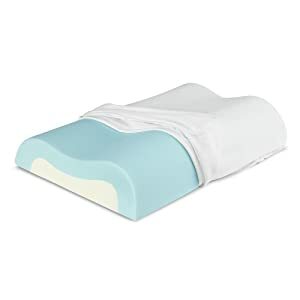 Malouf Shredded Talalay Pillow (King Size) is on sale at Amazon.com for just $18.99 (reg. $99.99). This pillow is very soft and provides the perfect amount of neck support. It is very comfortable, and retains its shape. It would be a great alternative for someone that is not willing to purchase the more expensive version for their bed. Be advised that it does not come with a cover though. 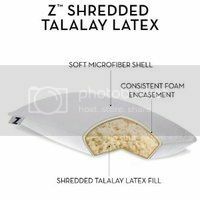 Filled with shredded natural Talalay latex, encased in regular foam. Traditional pillow feel with the resiliency of latex; will not ever flatten. Consistent filling does not clump and has quick loft recovery. Antimicrobial and resistant to allergens and dust mites. Super soft microfiber cover; 3-year warranty. 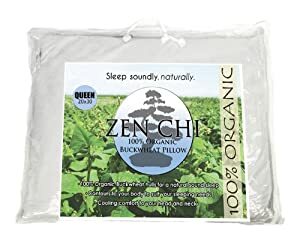 Organic Buckwheat Pillow with Free Cotton Pillowcase 26"x15"x3". Organic 的荞麦枕头， 外戴 100% 纯棉的枕套。原价70刀一个， 现价$35.99 with free shipping. 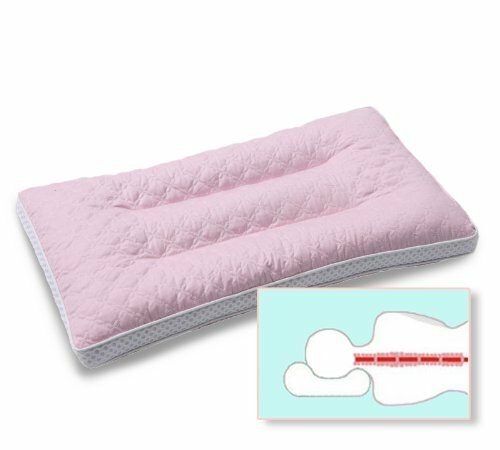 Double seams fasten the buckwheat, make less noise than regular buckwheat pillows, and provide better support,relieve neck pain. Toddler Pillow 小孩枕头。 Soft Hypoallergenic， Best Pillows for Kids! Better Neck Support and Sleeping! They Will Take a Better Nap in Bed, a Crib, or Even on the Floor at School! Makes Travel Comfier in a Car Seat or on an Airplane! Made in USA! 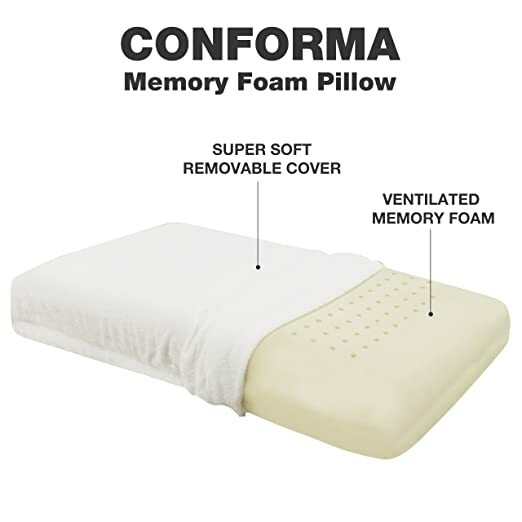 Classic Brands Conforma Memory Foam Pillow Queen size 的记忆泡沫枕头, Medium firm. Foam pillow is 5 inches thick; ideal for side and back sleepers. 这个枕头的review极好极好， 原价70刀， 现在打折35刀, 外加 $5 off coupon and with free shipping. 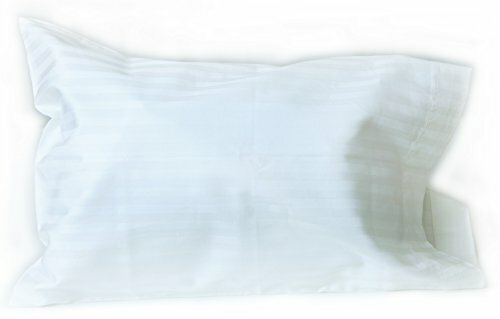 Amazon.com now you can get this Zippered Bamboo Queen Pillow Cases 2 Pack in white for only $8.99 (regularly $19.99)! 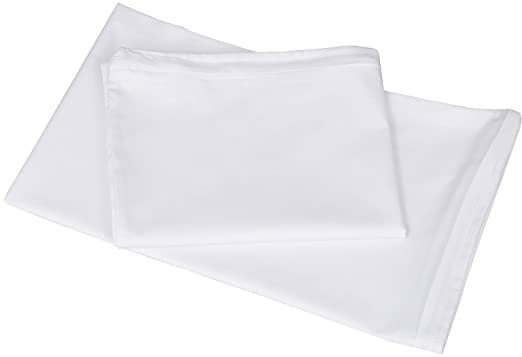 These 300 count pillow cases are made from soft bamboo sateen to stay cool while you sleep. Plus they’re machine washable – no special care needed. 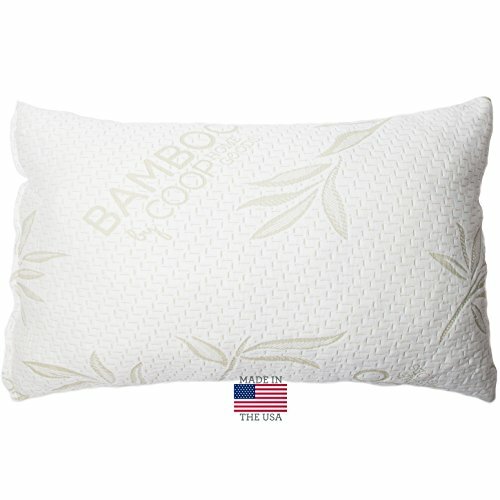 For a limited time only, on Macys.com where you can get some nice savings on select Pillows. Dream Science Won’t Go Flat Alternative Standard Pillow By Martha Stewart Collection, Only $8.99 (regularly $30) – today only! Through April 8th, on Macys.com you can now get these Calvin Klein Hypoallergenic Down Alternative Standard Size Pillows for only $5.99 each (regularly $30). Or, get the King Size Pillows for just $7.99 (regularly $40). The standard size pillow is 18″ x 26″ x 2″ and the king size pillow is 18″ x 34″ x 2″ and each comes in medium, firm or extra firm. On Walmart.com where they are offering up this Mainstays Huge Pillows 2-Piece Set for only $6.80 (regularly $13) – just $3.40 per pillow! 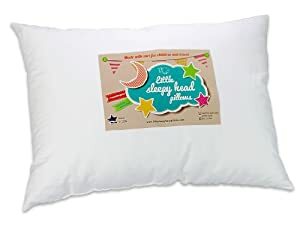 These machine-washable pillows are great for both back and side sleepers and fit in standard and queen-sized pillowcases so be sure to grab a few for your kiddos, the guest room and your room! Through May 19th, go to Macy’s.com where you can get Lauren Ralph Lauren Logo Pillows for just $5.99-$8.99 (regularly $20-$32).